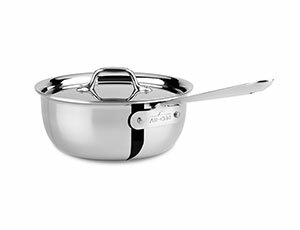 More shallow than the classic sauce pan, the All-Clad Stainless 2-quart Saucier is designed for foods that require frequent stirring or whisking, including creamy sauces as well as risotto, polenta and custards. 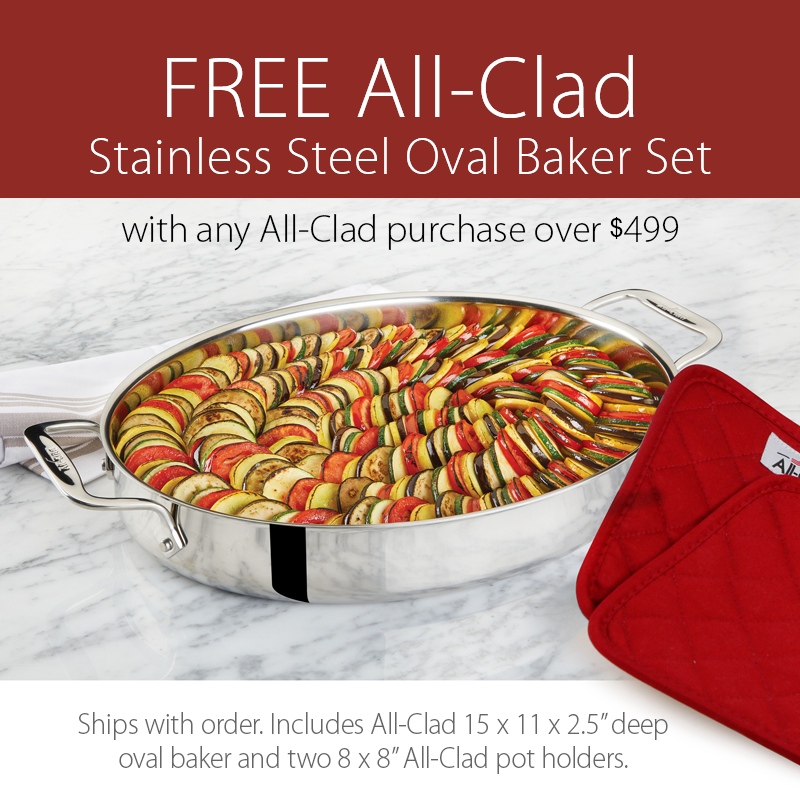 The pan's wide mouth allows for sauce reduction, while its curved sides allow for easy incorporation of ingredients. 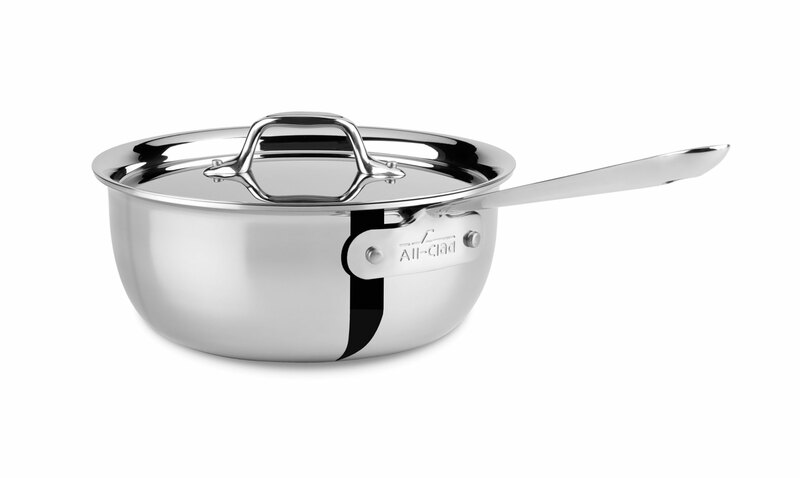 Also includes a tight-fitting lid, which can be used with or without to control evaporation. Carlo Mirachi from Roberta's in NY shows us how to prepare his polenta with a poached egg with pork chop using the All-Clad stainless steel saucier pan. 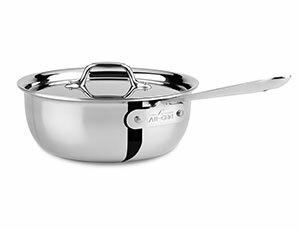 https://www.cutleryandmore.com/all-clad-stainless/saucier-p121258 21258 All-Clad Stainless Sauciers https://cdn.cutleryandmore.com/products/large/21258.jpg 164.9500 USD InStock /Cookware/Saucepans & Sauciers More shallow than the classic sauce pan, the All-Clad Stainless 2-quart Saucier is designed for foods that require frequent stirring or whisking, including creamy sauces as well as risotto, polenta and custards. 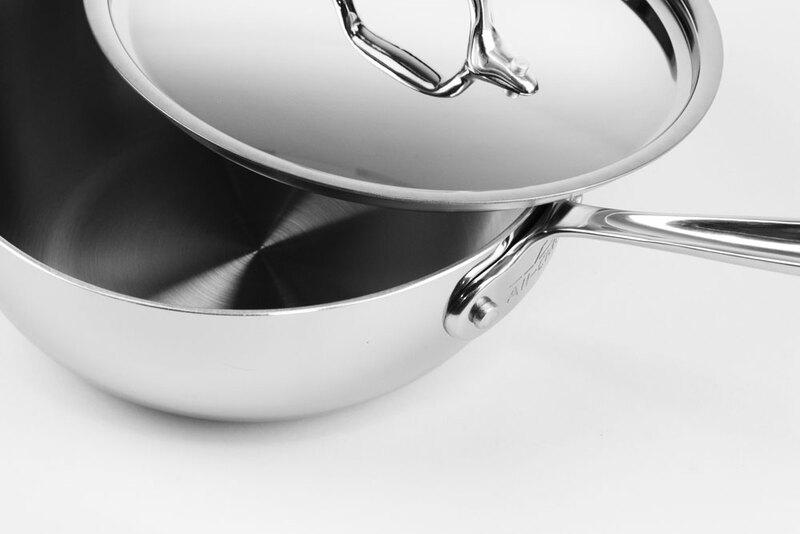 The pan's wide mouth allows for sauce reduction, while its curved sides allow for easy incorporation of ingredients. 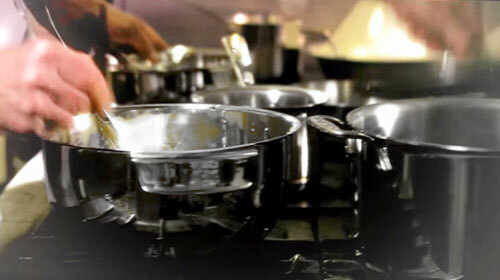 Also includes a tight-fitting lid, which can be used with or without to control evaporation.